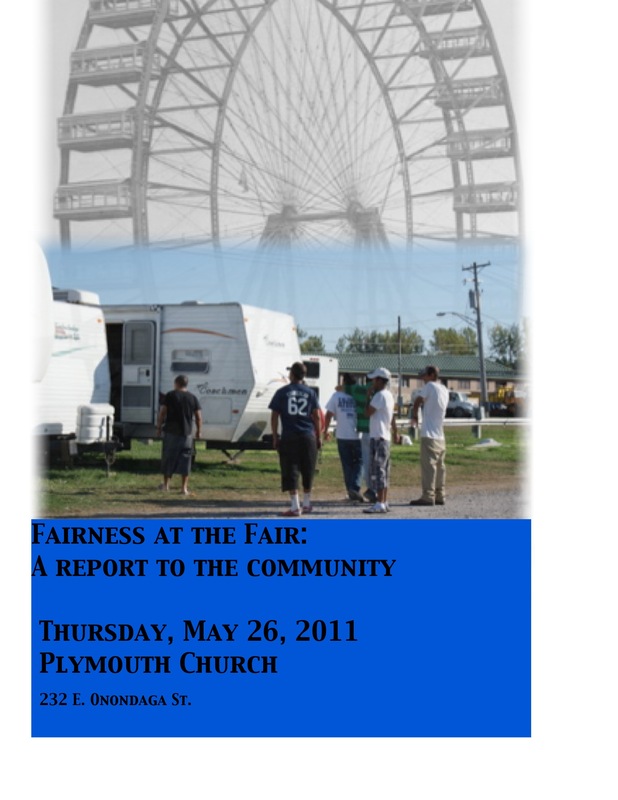 Please join us this Thursday, May 26 at Plymouth Church for a Report to the Community about our efforts to make the NYS fair a place where violations to workers rights do not happen. We will share information about our work in solidarity with 19 Mexican workers who fought back for their rights last year at the NY State Fair after they were victims of human trafficking for labor exploitation. There are specific actions we all can take to support workers at fairs and carnivals in Central New York so that this year there is fairness at the fair for all workers. thanks you for your information and support for workers. Volunteers are going to have a presence at local fairs and carnivals to let workers know about their rights and where to get help.